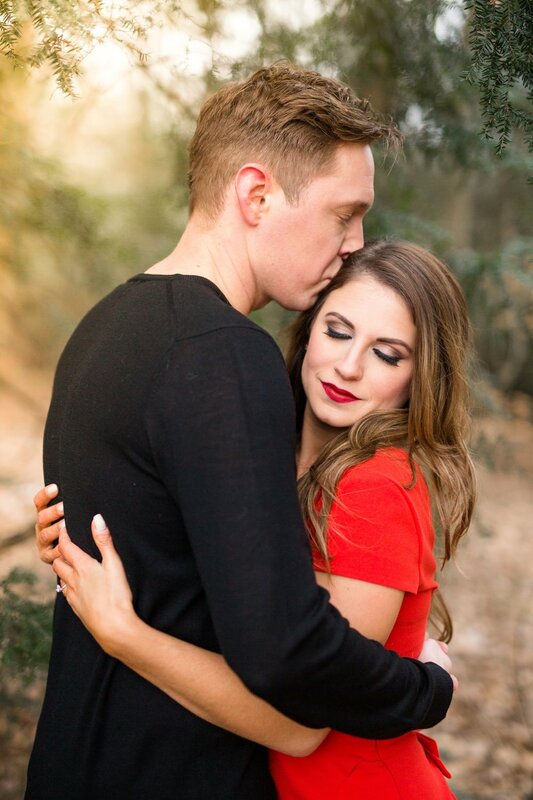 There are so many things to love about Lyndsay and Justin! Their relaxed personalities and undeniable love for each other made them an absolute joy to photograph. 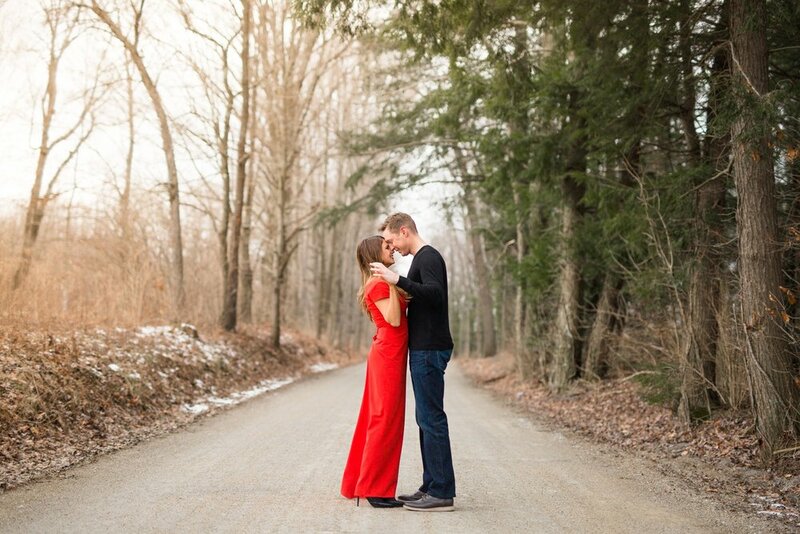 Lyndsay had a clear vision for her engagement session - a winter wonderland, and a bright, red dress. 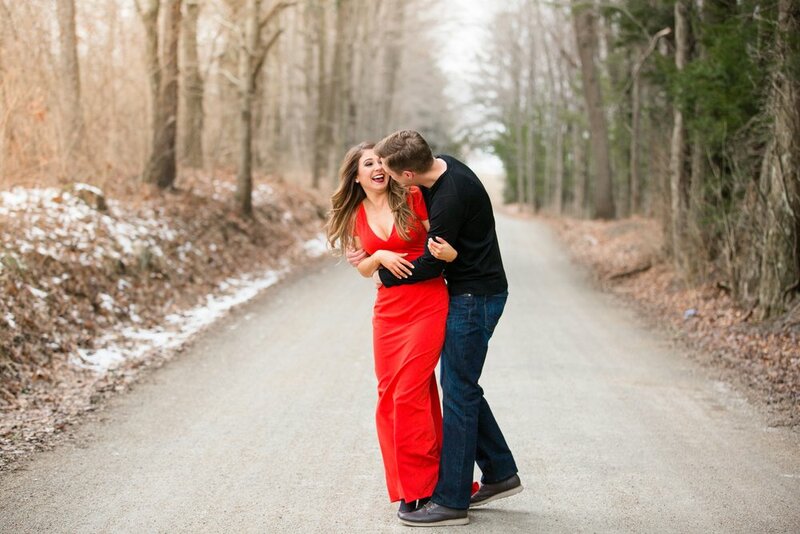 Thanks to Rent the Runway, Lyndsay was able to rent a killer dress to perfectly accent the session (side note: brides, this is a great way to dress up your engagement photos without having to commit to buying a dress!). These two put up with freezing cold temps and an icy hill that almost stopped us from reaching our last location - but they pushed through like champs, bringing her gorgeous vision to life! Without further ado - check out one of my personal favorite winter sessions ever. We are so excited for your fall wedding, Lyndsay and Justin!